Professional, high-quality carpet cleaning services across Solihull, Birmingham, Warwick and surrounding areas. Got off to a good start when Dave and his assistant turned up at the appointed time. Immediately both introduced themselves and came across as very professional and sought to confirm the scope of work to be undertaken before commencing to clean our carpets. The work was undertaken with enthusiasm at the end of which I was very impressed with the results; our carpets looked as good as new despite some soiling by our dogs. The whole job from start to finish exceeded my expectations and I have no reservations in recommending their services to other customers who are seeking a quality service. J.Croft. I was looking for carpets that make a good impression when I put my house up for sale. My children's' bedrooms carpets came up like new & I was very impressed. 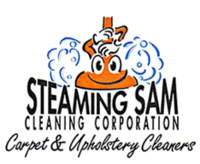 Dean has being cleaning our carpets for many years. He's always reliable, punctual and very polite. Carpets look amazing afterwards. Nice to see the colour back in the furniture, especially the red one. Transformed the other and did a good job all round. Many thanks. Excellent in all aspects, as usual. Very efficient & good value. Good communicator, was willing to change date of job. All left very clean & tidy. Very good prompt & reliable.